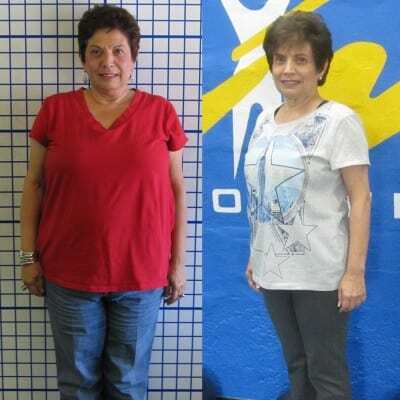 "I decided I needed to start a fitness program because I realized I had gained an awful lot of weight. 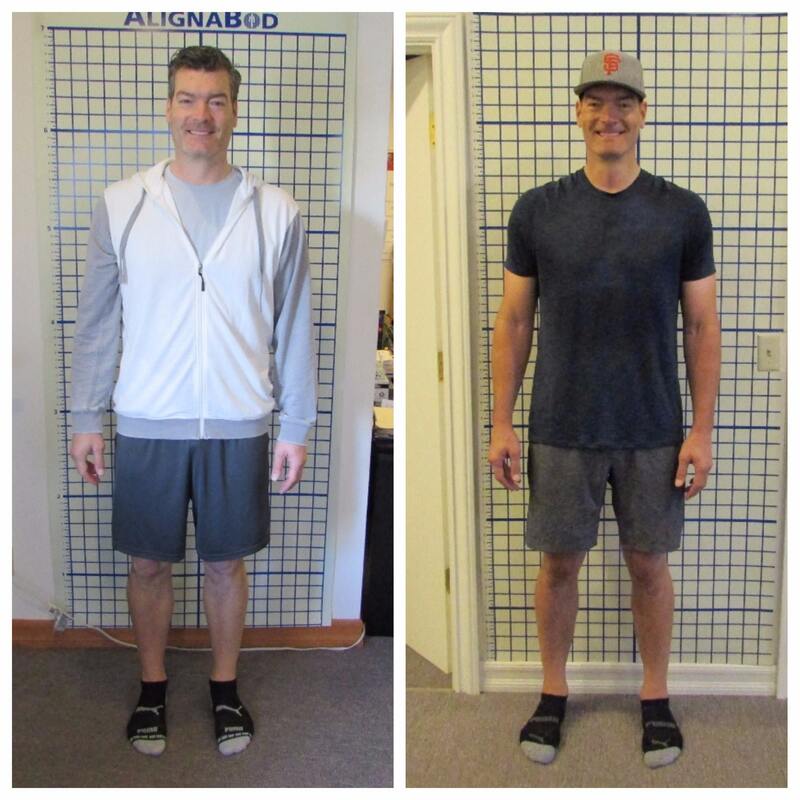 My blood pressure was out of control and my eating was out of control, so I decided to come back to a program that I knew would work. Since joining, my results have been absolutely amazing! I went from a size 14 women’s pants to a 6, I lost lots of inches, and I’ve lost about 14 pounds so far; Mint Condition is really working for me. I love the philosophy that Mint Condition has – it’s both body and mind! And my trainer really gives me that boost when I need it and is so encouraging, and that’s why I come here – because they are #1! To someone on the fence about joining Mint Condition Fitness, I would say “Do it!” It’s hard; when I first started coming, I thought, “I can’t believe I’m going to do this three days a week and make this commitment,” but once you do make the commitment, it is completely life-changing. It’s not a diet, it’s a change of lifestyle, and I would say absolutely go for it! You’ll feel great, and you’ll love it." Weight: Lost 14 lbs and still going! Measurements: Went from size 14 to size 6 in women’s pants. "At the age of 46, I had stopped working out for 4 years (kids, work, life). My back was killing me, my knees hurt and I was on a strict "see food" diet. I saw food and I ate it. I joined Mint Condition to find the guy I was in my 30's. Active, eating healthy and working towards fitness goals. In the 5 months I have been at Mint, I have lost 25 lbs, I have found the person I used to be and feel like I accomplished something every time I walk out the doors at Mint. The staff is amazing. 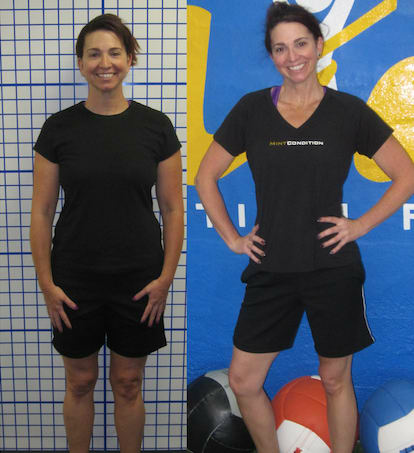 The personal trainers there tailor a program specific of your needs and goals, they focus on you whether you are trying to get back into fitness, losing weight or recovering from an injury. If you want results, look no further than Mint Condition Fitness." LOST 18 LBS + FEELING CONFIDENT! "I decided to start with Mint Condition because I wasn’t happy with the way I looked and hadn’t been happy with it for a long time. I was called fat twice, and it hurt. I needed something...I needed to make a change, and that's why I came to Mint. Since joining Mint, I’ve lost a lot of pounds and inches! Pants that I never thought I’d fit into again, fit! Clothes feel better, I feel better, I feel confident. That's the biggest reward - self-confidence and self-esteem. What I like best about the program is the accountability. I have a set appointments, and it's become part of my weekly routine. I look forward to my workouts; I know how much better and stronger I’ll feel after each one, and if I don't come in, the only person it's going to injure is me. I won't be able to get the results I want without my trainer and the support I get here. If you're thinking about joining Mint, I would say come in for the consultation. I knew once I saw the brochure and met with Colin that this was what I needed. Even just coming in the doors and watching how the session and facilities work, you get the feeling this place isn't like and other gym you've been in. You’ll be hooked in no time."